The SRS residency is the popular housing project across Faridabad within the sector-88; even this project is developed with the modern facilities to offer luxuries lifestyle to the people. The Faridabad has great connectivity and it is the ideal place to enjoy best lifestyle. 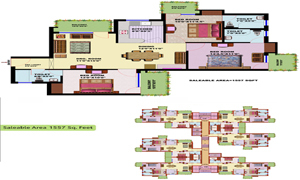 This features makes Faridabad ‘s properties more attractive. 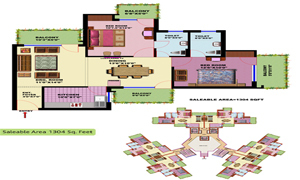 The floors which have constructed here with more safety one and one can easily able to find the best process included with the various services involved to the floors of SRS residency. In these floors, you can able to find the peaceful environment with the various services. First of all this residential project developed with attractive floor plans that ensures great flow even it suits for your lifestyle needs. In addition, all the residential units are available at affordable price so you no need to spend much money to get these units. 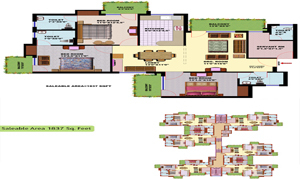 The builders have designed this project with unique layout and best floor plans with extra facilities. In order to enjoy luxuries lifestyle consider to read the online reviews about this project which help to get clear ideas about the project in Faridabad. 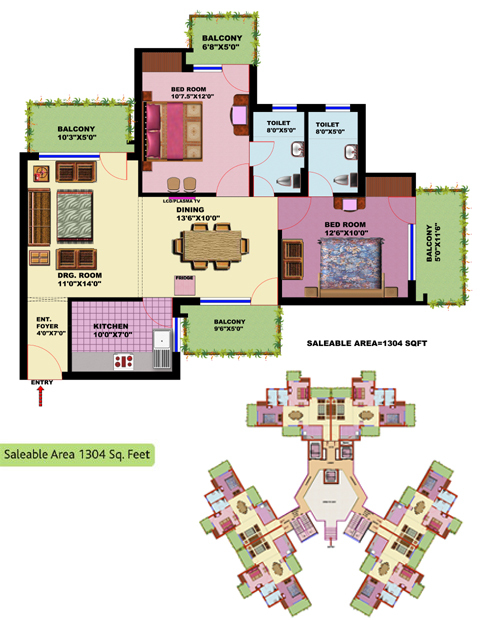 2 BHK - Saleable Area: 1304 Sq. 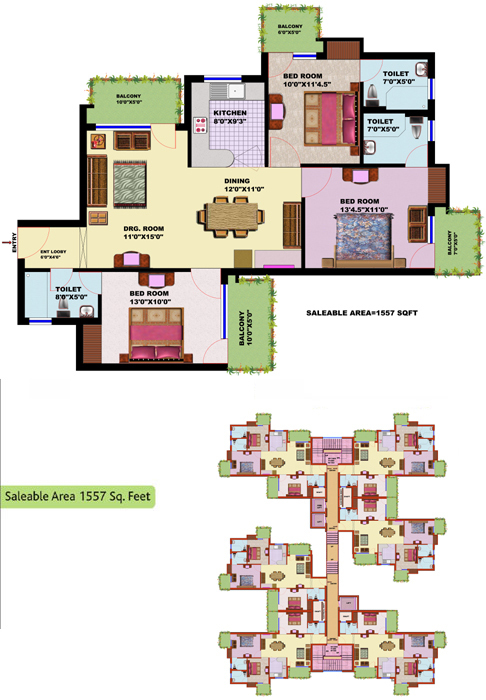 Ft.
3 BHK - Saleable Area: 1557 Sq. 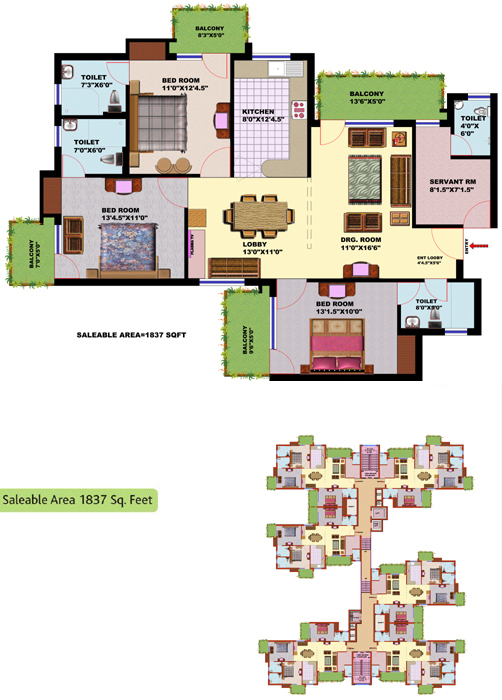 Ft.
3 BHK + Servant - Saleable Area: 1837 Sq. Ft.